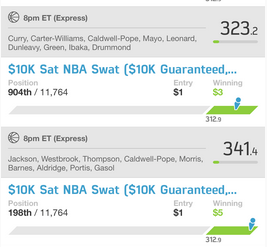 Saturday Night proved to be a good day once again, we hit on 2 of our 4 line ups on Fan Duel. I hit on 2 of my 3 Express line ups and missed completely on my one Late Night line up. I went into the evening thinking the Express contess would be the more difficult to catch a win on with all the high salaried players to choose from, but I was incorrect. The OT on the GSW at OKC game again cost me a top 100 finish. I was at 98th overall at the end of regulation and dropped to 198th overall after OT with my 341.4 score. BTW, 370 points took first place and 346.4 was the 100th place score. This makes me think, do I want to start splitting my player selections on 2 game slates a little more evenly? IDK, I may start looking at this strategy. I do know that going with whoever you think will score the most points for each position is always the best strategy, but I’ve been burned twice this week on OT Games. Looking at today’s NBA game Slates on Fan Duel, we have an early slate starting at 1PM ET with CLE at WAS and a 3:30 PM game with CHA at ATL. 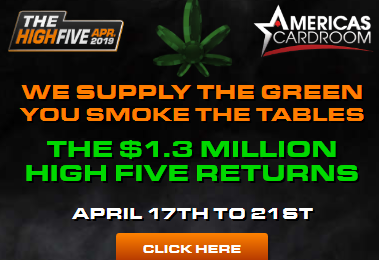 The Fan Duel early slate has a $2 entry, $150K GTD NBA Shot which looks especially tempting. The Main Slate has 5 games starting at 6PM. There is no Express Slate tonight, just the 5 game Main. The Daily $250 NBA free roll starts at 6PM using the Main Slate, Good Luck on Fan Duel tonight……..